Inside: How to make slime without glue or borax – non toxic and safe for kids of all ages! This is the base recipe for almost all of our favorite edible slimes! Over the past year and a half I’ve gotten a reputation as a “slime blogger” — and I’m totally ok with that! Slime may have started as a trend, but it looks like it’s here to stay! And why not – slime is easy to make and provides hours of fun, sensory play. 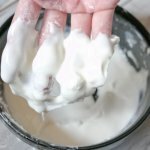 We love it in our house and I love to show others how to make slime, especially no glue slime recipes that are kid-safe, taste-safe, and worry-free! When we first started making slime, my youngest daughter was two years old and still in the stage where she wanted to put everything in her mouth. And of course she didn’t want to miss out on any activities that her older sister did, like making slime! That’s why we started looking for ideas to make slime without glue, using simple kitchen ingredients. That way I didn’t have to worry about the girls touching or tasting any harsh substances. The result was fabulous: our first slime recipe without glue was squishy, colorful, smelled fantastic, and was actually taste-safe too! While I still supervise my girls closely when we make any type slime (even our safe slimes), with these no glue slime recipes I don’t have to worry about them sneaking a taste or licking their fingers while I’m not watching. Many of the traditional slime recipes that you’ll find on the internet are glue-based and use borax as an activator. The result is super-stretchy, long-lasting slime – awesome stuff! BUT – if you have young kids, you might worry about exposure to the chemicals used in these glue & borax slimes. Or you might be concerned about what would happen if your child tried to taste any of that slime. There are a lot of slime recipes that claim to be glue or borax free, but if they use contact lens solution or liquid starch, then they cannot truly be called “borax free.” That’s because both contact lens solution and liquid starch contain boric acid. So if you’re really looking for a slime without borax or glue, be sure to read the ingredients carefully! Our first edible slime recipe turned out so fantastic, that I shared on my blog last year. 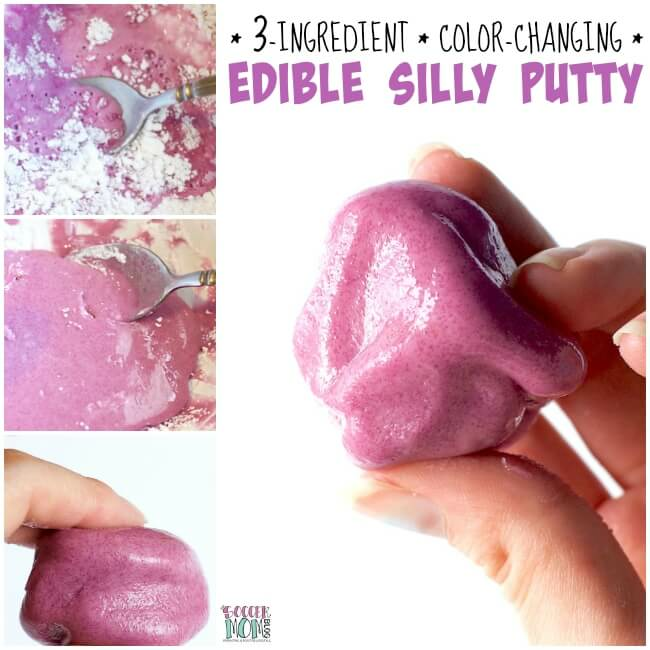 That first recipe, Edible Silly Putty, was our most-visited post of all in 2017! This kid-safe slime recipe changes colors when you mix it, and you only need 3 simple ingredients! 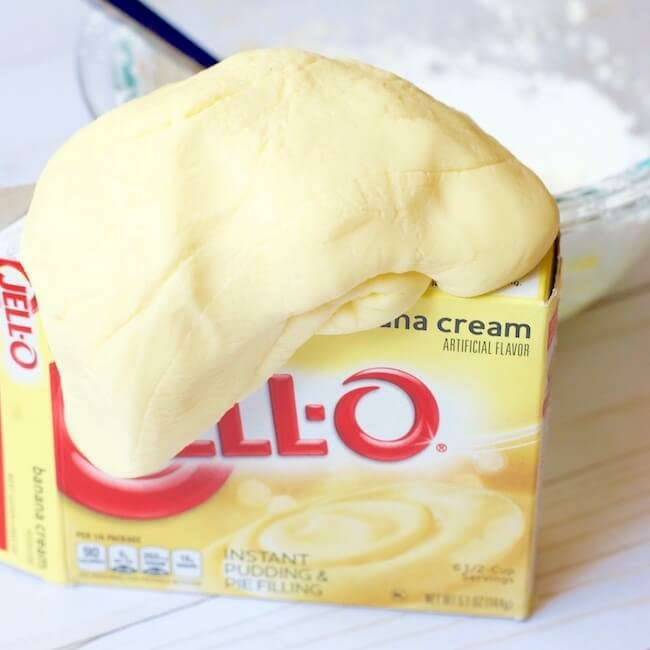 You might also like this Edible Pudding Slime recipe, which has been shared hundreds of thousands of times on Facebook and Pinterest. We love this variety because it’s soft like play dough, but stretches like slime! Oh, and it smells amazing!! When mixed with a liquid, like water, cornstarch becomes what is known as a “non-Newtonian fluid.” In super-simple terms, a non-Newtonian fluid exhibits properties of both a liquid and a solid. How to make the original no glue slime and the base for many of our glue free slime recipes. Combine 1 cup cornstarch and 1 cup water in a non-slip mixing bowl. Stir together until cornstarch is completely absorbed. Continue adding the remaining cup of cornstarch a little at a time until your mixture thickens. You're looking for your oobleck to feel hard when you tap on the surface, but your finger will sink into it if you press and hold. You may or may not use all two cups of cornstarch. If you mixture starts to dry out, simply add more water. If your mixture is too runny, add a bit more cornstarch. 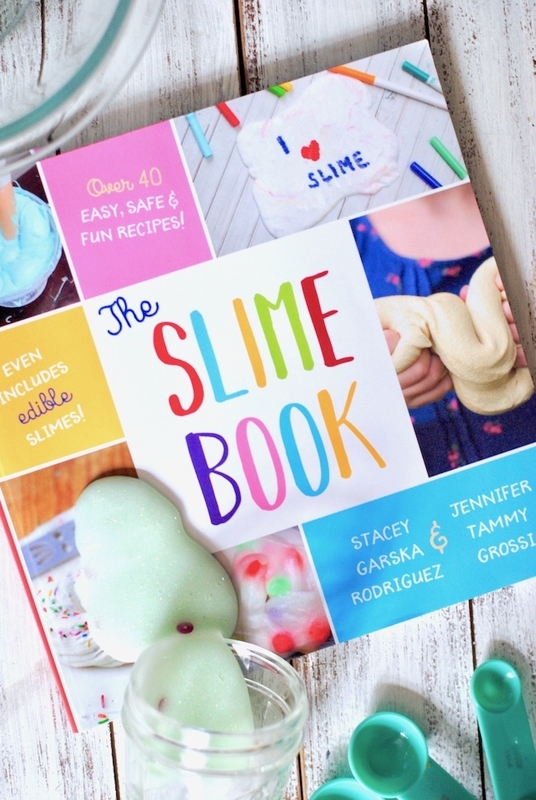 Read this next: Click here to learn how to make lots of edible slime recipes using this base recipe! 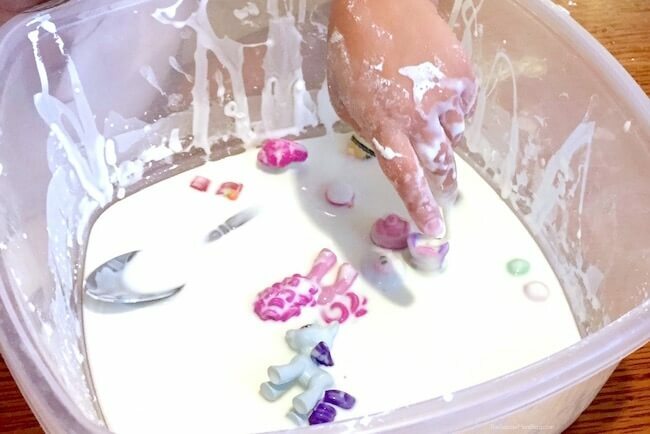 Slime Play Tip: We love to make our oobleck in a large bowl and add mini-figures to the mix. The girls love to watch their figures sink into the slime! 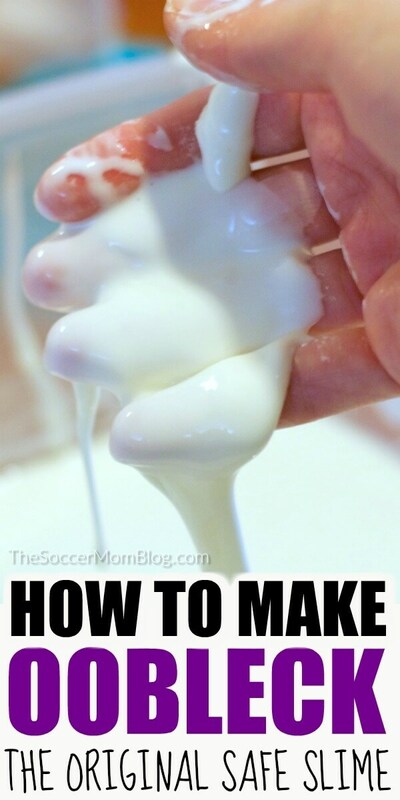 Now let’s talk about how to make more more glue free slime by taking the basic Oobleck recipe to the next level! 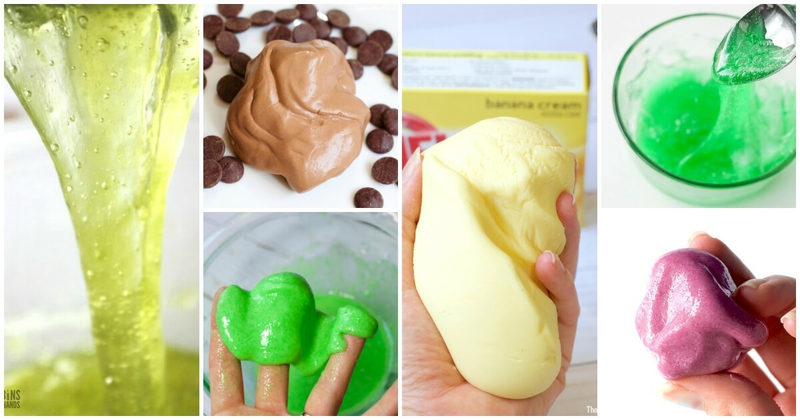 We’ve experimented with almost everything in our pantry to make slime! And we’re always brainstorming new ideas and ingredients to try. The following are things we like to have on hand to make easy slime without glue at home; we’ve included shop-able ad links for your convenience in finding these items (disclosure policy here). You won’t need every ingredient for every recipe, but if you have these at home, you’ll be able to try quite a few different easy slime without glue recipes! In our master list of edible slime recipes, we’ll show you how to make slime using the ingredients listed above! Cornstarch slime exhibits different properties than traditional glue & borax slime, so the steps to make it will be different too. While glue free slime (like the edible slimes we make) isn’t quite as stretchy as glue and borax slime, the trade-off in safety makes it SO worth it for us! If your slime is too dry or starts to crumble: Add more of your liquid ingredient, one teaspoon at a time. (This is also how you can re-hydrate slime that has been sitting out for a few hours). 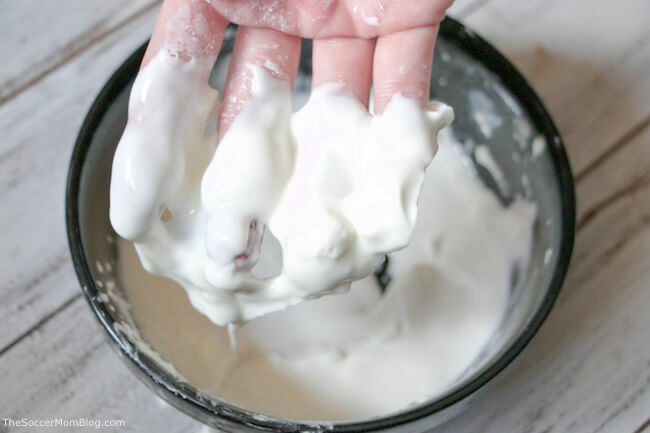 If your slime is too sticky: Add cornstarch, one tablespoon at a time, kneading into your slime or dough until it no longer sticks to your hands. The most important thing: Patience! With most of our slime recipes, it can take a few minutes of stirring and mixing to achieve the perfect slime consistency. Don’t worry if your slime isn’t ready in seconds — keep following the instructions for how to make slime in each of our recipe posts and you’ll get it! Making slime isn’t an exact science, and sometimes you simply need to play around with it a bit to get the perfect consistency. If you don’t get it right at first, don’t throw that slime away! It’s actually pretty hard to completely “mess up” our edible slime recipes, and they can usually be easily fixed! Since these safe slime recipes are made with food ingredients, they won’t keep for weeks like glue-based slimes. The good news is that these edible slime recipes are usually inexpensive to make, and they are safer than glue and borax slime! These edible cornstarch slimes are best enjoyed the day they are made, but you can store in an air-tight container in the fridge for a day or two. You may need to rehydrate before playing the next time. I also don’t recommend tasting these slimes after the first day of play. (Since these glue free slimes are perishable, always check for signs of mold before using on the next day). More slime safety tips follow our favorite glue free slime recipes! Making slime is TONS of fun, and the recipes we share here are designed to be safe for kids to play with under adult supervision. However, it is still important to review safety guidelines, no matter what type of slime it is. We love to share recipes, but we also want to make sure we talk about how to make slime safely. 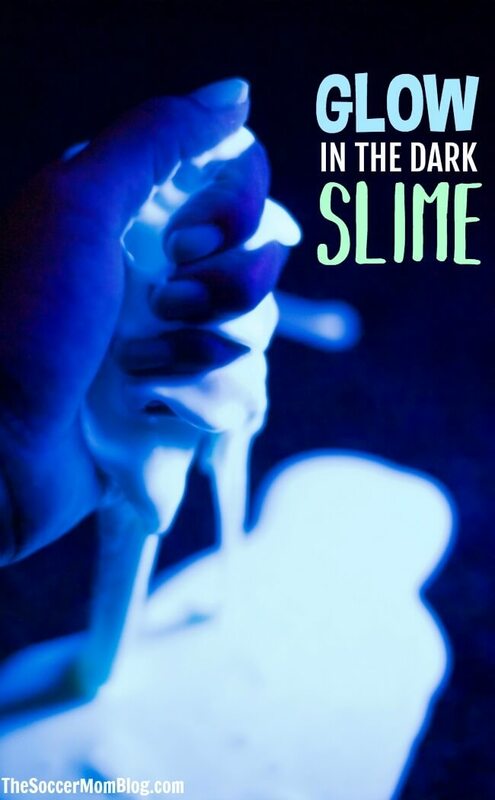 Following the tips below will help ensure that your slime experience is all fun! While our taste-safe slime recipes are technically edible, they’re not meant to be consumed as food. Always supervise kids when playing with slime, even taste-safe slime. All activities and slime recipes on this website should be used or tried with your good judgement and common sense. Every child is different in their capabilities, so be sure to consider the age-appropriateness of each activity for individual children. Never leave children alone when playing with any type of slime. To avoid staining, make slime on non-porous surfaces that can be easily wiped down and cleaned afterwards. Always wash hands thoroughly after any trying any slime recipe. Some ingredients may stain hands temporarily (like brightly-colored Jello), so we stick to cool colors that are less likely to stain, like green. We also recommend wearing play clothes or an apron when making slime to prevent staining of clothing. The Soccer Mom Blog is not responsible for any damages incurred by trying any of the slime recipes listed on this website. Now that we’ve got through the “fine print,” let’s get back to the fun stuff! Keep reading to learn how to make slime with our BIG collection of edible slime recipes below! The Oobleck recipe above is one of three starter slime recipes that form the base for hundreds of awesome slime variations! Once you master these basic recipes, you can make almost anything! See ALL of our edible slime recipes! Check out our Master List of Edible Slime Recipes for Kids here! Our edible slime recipes are made with simple household ingredients that you might already have in your kitchen. Perfect for hours of sensory play that’s safe and non-toxic!